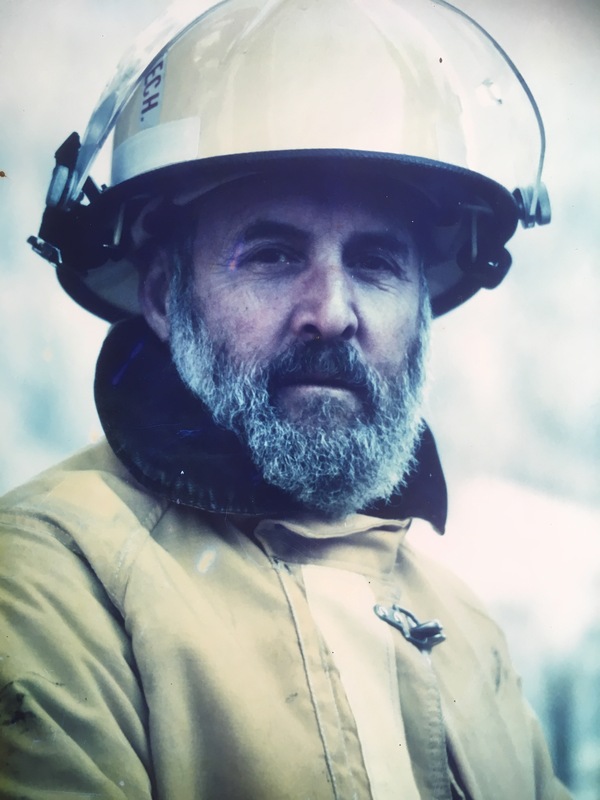 For half a century he’s been known in West Marin as the everywhere-at-once First Responder, activist, inventor, farmer, letter-writer, real estate developer (the good kind), philanthropist, self-publisher and all-around Great Idea guy. It’s the inventor with a sense of humor I’d like to follow here, the guy who looks at society’s complexity and notices something so obvious that everybody’s missed it. Typically he can’t stop thinking about it until a solution appears in his mind, and then he’s filled with excitement, and off and running he goes. I bet every Westerner who’s traveled to India has had this thought: How do they do it? That is, how do rickshaw drivers do the back-breaking work of peddling tourists around on soft (not paved) roads? 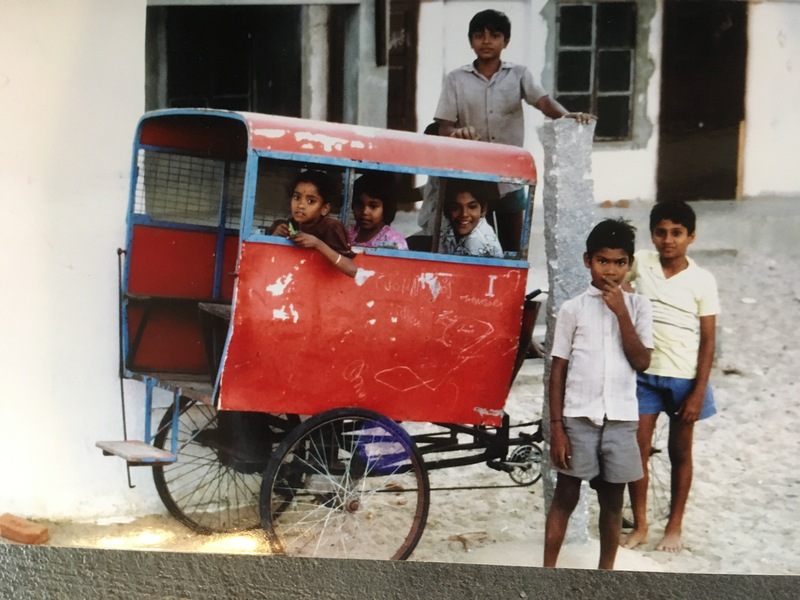 All day, every day, and then, when a hill approaches, they have to get out and pull the rickshaw, with you and the kids and the luggage sitting there, adding weight. And they charge you the equivalent of U.S. pennies for the service. 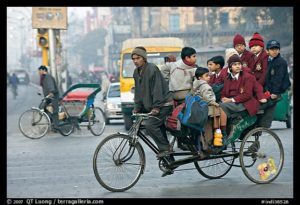 On the other hand, I bet the next thought might be: If this is the way rickshaw drivers make a living in India, who am I to question it? Rickshaws have functioned this way for many generations. It’s a hard life for the driver, but what can a lone observer do about it? Well, a lone Great Idea Guy like Richard Kirschman has always had this acute curiosity about how things work, and how they might work better. On this first trip to India and his first ride in a rickshaw, he got out and noticed something he couldn’t unnotice. That is, the wheels of rickshaws run on a single gear. Just one. Elsewhere in the world, he knew, bicycle riders use multiple gears to make pedaling easier. Could the same principle be applied to rickshaws in India? It took a while (he went home, he made designs, he wrote letters, he built a model, he came back, he met with experts; he went home, etc.) 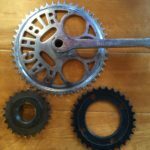 to create a gear so simple and inexpensive that it could be installed in minutes by any driver, and would then greatly reduce the pedaling effort. More time elapsed (he redesigned, he petitioned, he wrote more letters, he came back; he made appointments, etc.). 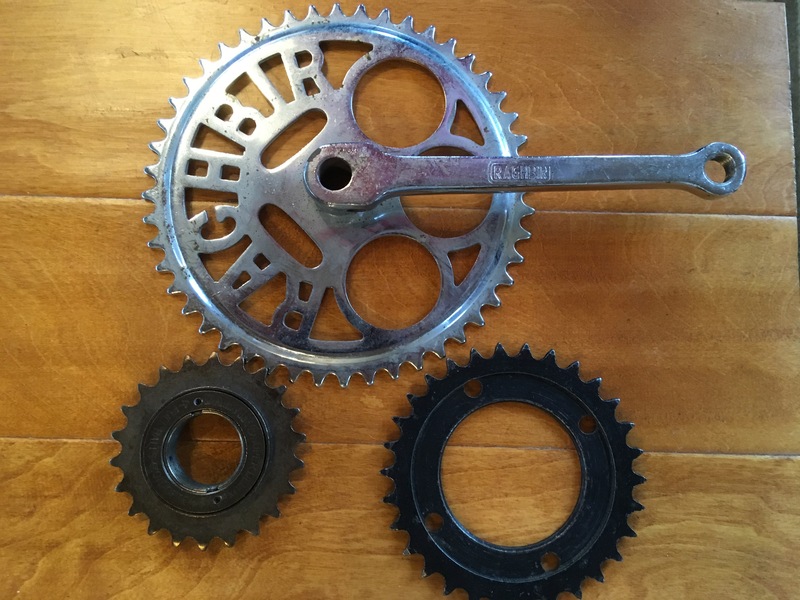 Eventually a number of manufacturers, professors, engineers, a Times of India reporter and rickshaw drivers agreed that his “toothed adaptor ring, bolted directly onto the 22-tooth freewheel,” as they put it, could make a huge difference. Time passed, enthusiasm built up … and time passed. Richard built a prototype that was praised by everyone who saw it, but again, time passed. 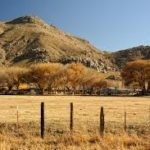 Eventually it proved extremely difficult for Richard, an American living in West Marin, Calif., to move things along a world away. The project needed agreement, mobilization and action throughout many different systems, and at several key junctures, that didn’t happen. Letters and emails of support kept arriving, but the project stalled, and there, after several decades, it remains. 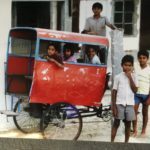 One unforgettable moment deserves recognition: “One day we put the gear on four rickshaws,” Richard recalls, “and the drivers confirmed it was a big improvement.” Suddenly the head of the Indian Institute of Technology and the head of the Indian rickshaw union in Madras got down on the ground with Richard to examine the ring on a rickshaw school bus. Here were three elders, two whose castes would normally not allow them to socialize, on their knees next to a rickshaw excitedly discussing something that even today could trigger a huge change in their world. So Richard came away — well, disappointed, but also inspired. 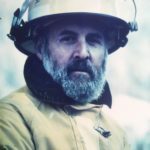 The prototype had galvanized diverse authorities over changes that hadn’t existed before — not just with the gear itself but with the connections he made, the people he met, the resources within the culture that few ever see. The experience had taken him to places in India he would not have visited before, and for that he would be forever grateful. You probably know that the Boy Scouts of America finally lifted its ban on members who are gay. And just this year, girls are being allowed to join as well. But did you know that BSA still discriminates against the “nonreligious”? 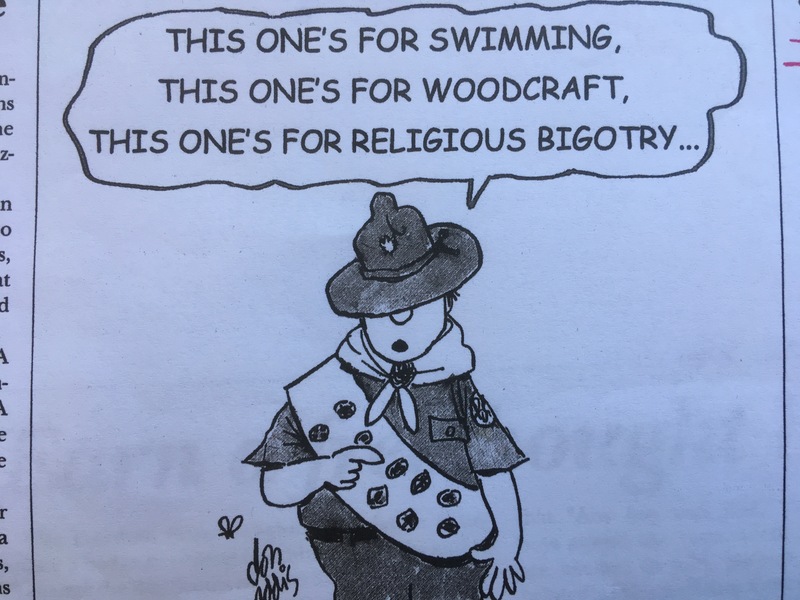 According to the group’s Charter and Bylaws, “No member can grow into the best kind of citizen without recognizing his obligation to God.” Parents must sign BSA’s Declaration of Religious Sentiments to ensure that no atheists, agnostics or nonbelievers are allowed in. 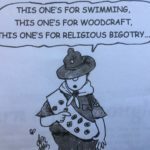 To Richard, a former Scout himself and a longtime “religious nonbeliever,” this is silent bigotry. It can be challenged by a number of means — social media, lawsuits, protests — but with his bent for irony and tongue-in-cheek humor, Richard had another idea. 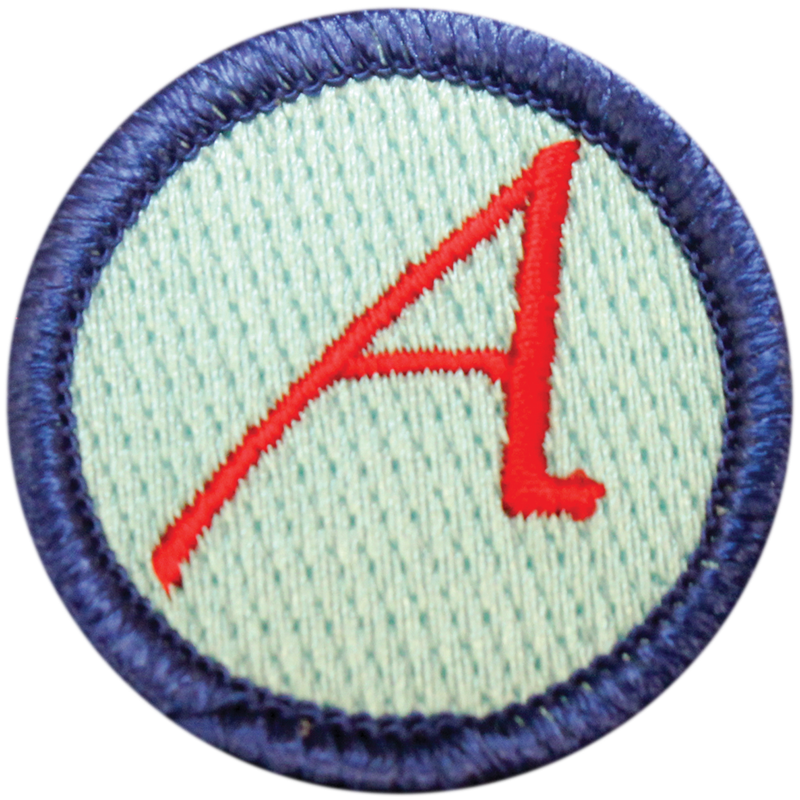 Scouts learn about life by fulfilling activity requirements that earn them merit badges, which they sew onto uniforms and sashes. Why not help them explore “freethought activism,” Richard wondered, by issuing a new badge, this one with a letter “A”? 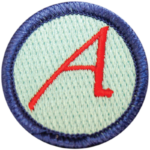 But Richard’s “A” was not that “A.” Thanks to the enthusiastic co-sponsorship of evolutionary biologist and author Richard Dawkins (The God Delusion), this unofficial Boy Scout merit badge displays the distinctive Dawkins’ “A,” but this time it stands for Atheist, and for Agnosic. The badge was adopted and has become available through the Freedom from Religion Foundation. Today you can buy these eye-catching cloth badges from the FFRF for three bucks each, whether you’re a scout or not. 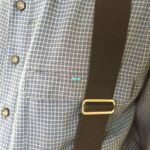 Wearing the badge for whatever reason may prompt people to ask about it and bingo, right then and there, word will go out that “A” is also for Advocacy — that is, support for difference and privacy and the notion that even the Boy Scouts of America can re-embrace larger values like freedom of speech and belief. Dogpatch: Too Bitter to Lick! 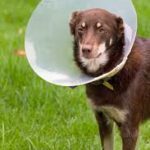 If you’re a dog owner, you know how frustrating those Victorian collars can be for the wearer when you’re trying to stop your dog from licking or chewing a cut or surgical site or hot spot. For decades, veterinarians have insisted on these collars, and dog owners haven’t objected. How could they? Putting dogs through this humiliation was the only way, they believed, to heal that wound. Many still believe it. 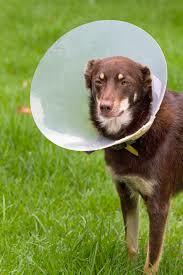 But when his own dog had to wear the collar, Richard had a Great Idea. Instead of imprisoning the dog’s head so he wouldn’t lick the sutures, why not let the dog decide for himself? With no credentials as a chemist or veterinarian, Richard plunged to the task: He was a dog owner; he had a brain. How hard could it be? 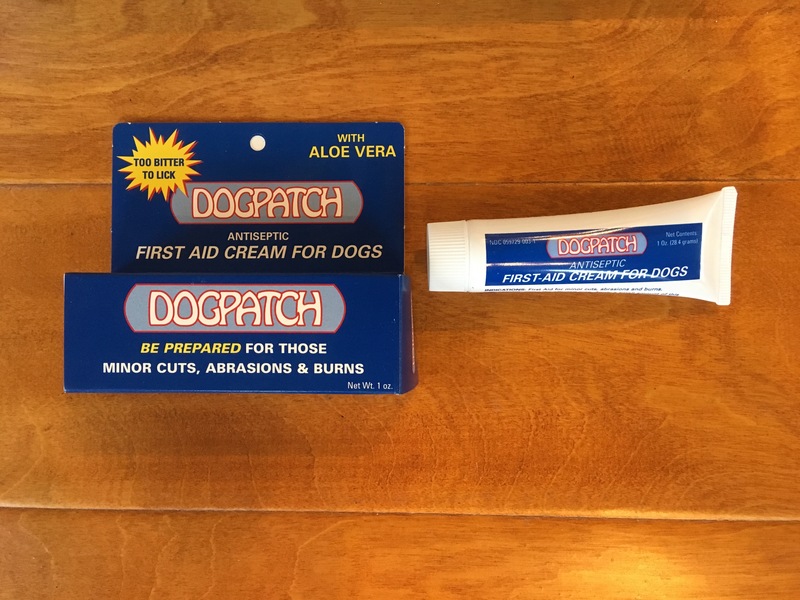 Well, it took five years of mixing, testing, patenting, trademarking and obtaining FDA approval, but in the end, Richard created a soothing yet bitter cream called Dogpatch that really did change the world, at least as far his dog was concerned. The ingredients (mostly a very soothing Aloe Vera) included Denatonium Benzoate, simply “the bitterest flavoring known to man” — well, man and dog. It inspired Richard to display the logo, “TOO BITTER TO LICK!” in an earnest and endearing starburst on the package. 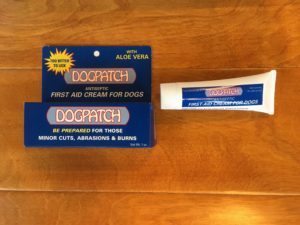 West Marin vets and pet store owners loved Dogpatch. They stocked it and sold it and swore by it. Richard and Doris traveled the state and hand-sold the product at dog shows and veterinary conferences where pet-supply distributors, kennels, trainers and groomers embraced it as the answer to Victorian-collar tyranny. “At first we had fun,” Doris would write of the warm reception to Dogpatch. But traveling that much to sell one product proved costly and exhausting. Then, too, the prospect of national distribution proved impossible for a single-item, single-owner company. Even after Richard sold his company to a zealous sales agent, Dogpatch — never part of a recognizable group of products — eventually disappeared from the market. Remember how dried up and downtrodden Californians themselves got during the state’s three-year drought in 2011-14? 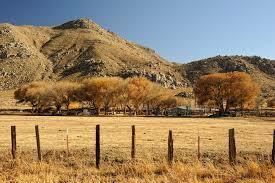 Experts say it’s inevitable that the rains will stop again, so the only answer is to conserve water. For a long time Richard thought about that. He lives in Point Reyes Station, the foggiest region in America, it turns out. Trees thrive during droughts because the morning fog is so dense and seepy they get to drink from it in their own very sippy-cup way. Why not humans? Fog as a resource for water is not a new idea, but it’s not easy or accessible. 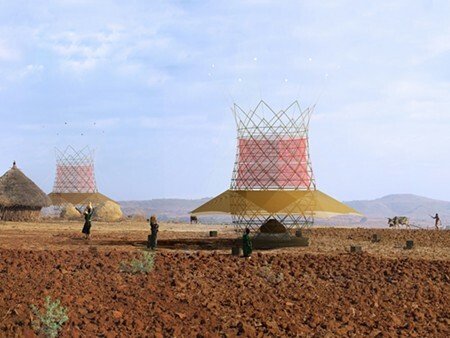 Large systems of “fog catching” are underway in Chile, Guatemala, and Nepal, but distribution systems for crops and homes are difficult to fund and develop. So Richard pondered the idea of smaller systems that individuals could build on their own. 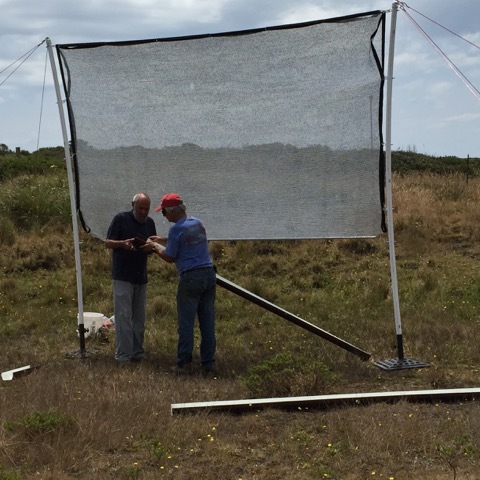 Using a special polyethylene netting he imported from Britain, along with inexpensive household items (poles, pipes, buckets), he created a small, easily managed device that resembles a see-through sheet strung up between goalposts. He attached a drip-collecting gutter on the bottom of the net, and as long as the fog rolled in, this early prototype worked. A Canadian nonprofit called FogQuest had similar results with a larger screen (40 square meters yielding 200 liters of water a day), but Richard’s was basically homemade and easy to set up for individual use. Eventually, the drought ended and the ground fog lifted just enough on his test area before he could try it out in larger fields. Today the DIY fog catcher awaits the next drought for further testing, and as usual, Richard is optimistic. 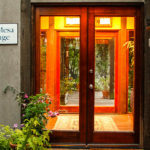 Because West Marin is an off-the-grid kind of place, small ranches, organic farms, independent creameries and oyster-bed companies quietly succeed from owners’ do-it-yourself utilization of local resources. 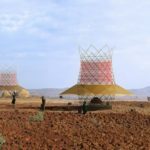 If solar panels, chemical toilets, “cloud” storage and wind-driven generators help people live independently, the day is near when Richard’s DIY fog catcher could be the water-saving prototype to save the day. A lot of people don’t march in the streets or write letters or vehemently take sides in a controversy. Like them, Richard believes there are subtler ways to protest with dignity. Now, during the Donald Trump era, perhaps the time has come to RESIST just about every single thing on general principles. 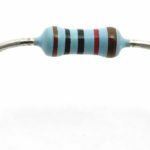 As a ham operator and electronics officer in the Navy, Richard had worked for years with tiny bits of wire and porcelain called resistors. Electricians use them to slow (resist!) the flow of energy as a way of keeping other components from getting too hot or overloaded. 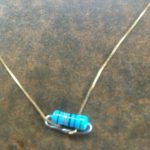 I like to picture Richard holding up this wiry item for the first time and thinking, HEY! 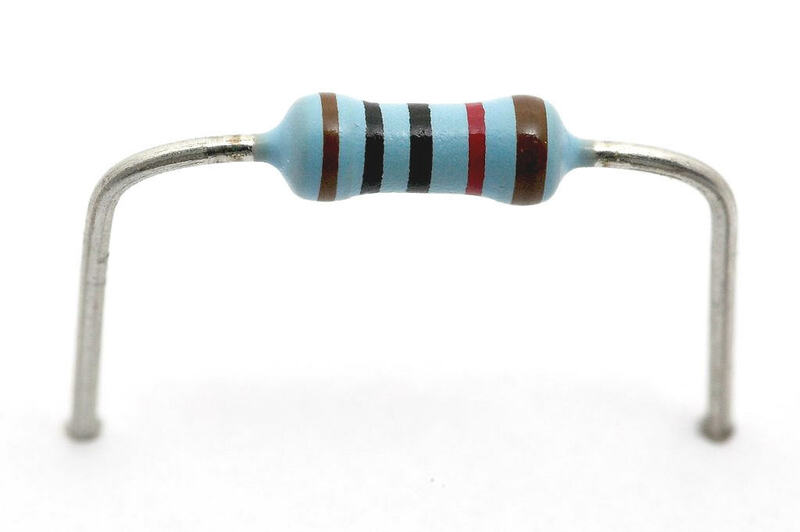 How effective this little guy would be as a political pin for those in the know. 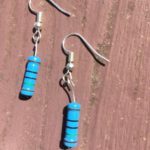 An admirer of grassroots movements that have grown quietly and stealthily from the subtlest of beginnings, Richard purchased batches of the inexpensive things and learned how to cut them and bend them and stick them into cloth like the little gems they are. Word got out and people started wearing them oh, so tastefully — and noticeably — on jackets and shirts and scarves and all manner of clothing. Then Richard kept experimenting and … voila! 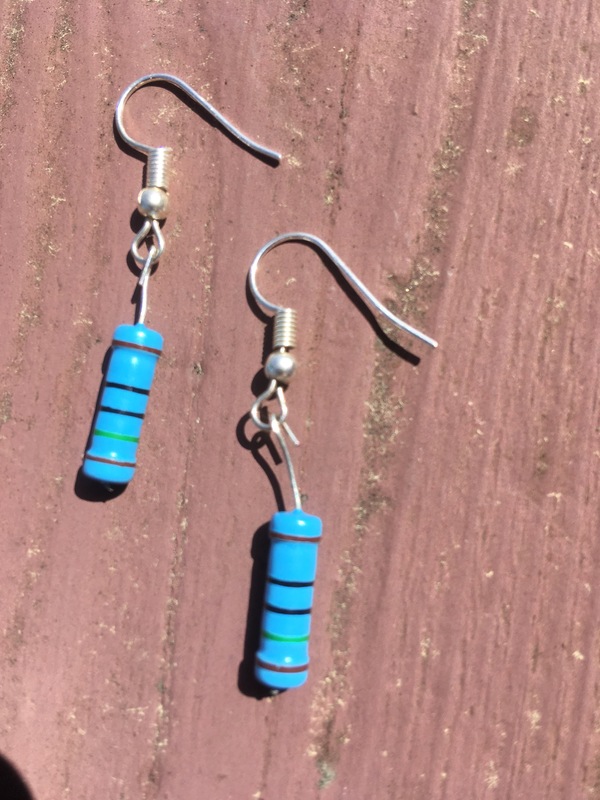 beautiful earrings appeared, and necklaces and (very soon I’m sure!) 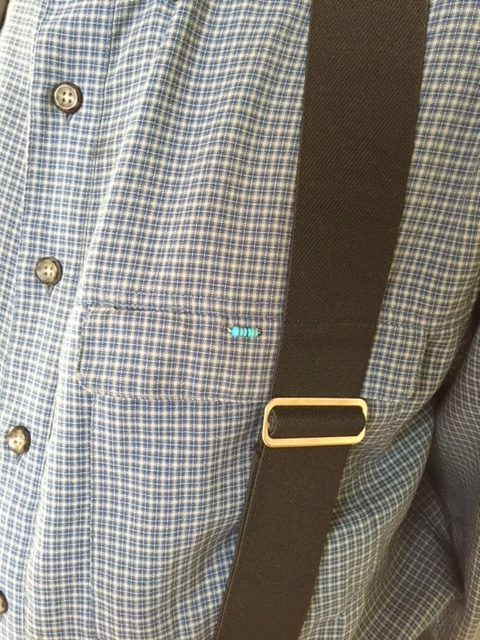 cuff links and shoelaces and hair barrettes, if anyone still wears them. 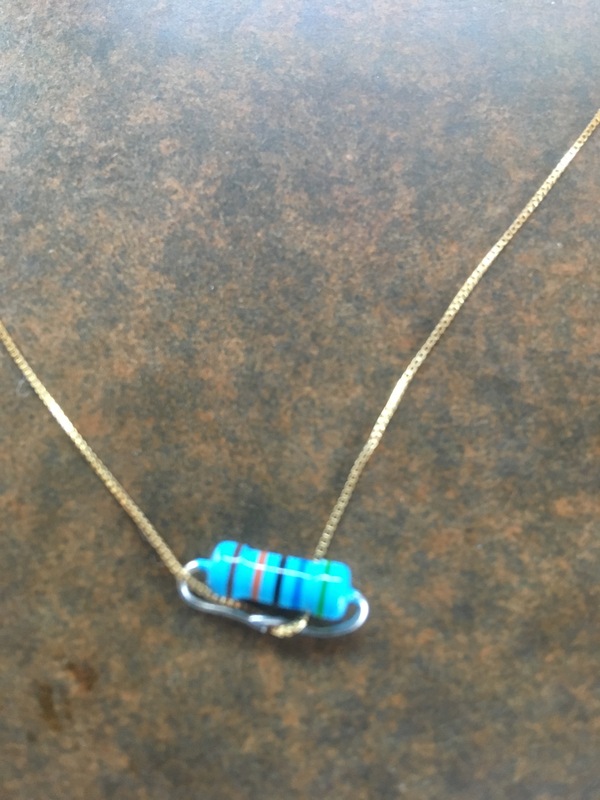 For the progressive in Richard, perhaps the only joy of the Trump administration is that no one asks, “Resist what, exactly?” When they see the lovely turquoise-colored resistor item, they want one or dozens for themselves. And in West Marin, land of thoughtful progressives, everyone knows what it stands for: resist sameness, seek difference; avoid the masses, live independently; listen to nature, resist tyranny. As we’ve learned, Richard Kirschman is not a religious person, but he does respect the Bible for its literary and historical importance. So it offends him when people quote the Bible to support narrow-minded ideas of morality. Conservative Christians seem especially inclined to hold up the Bible as evidence that God didn’t intend men to go uncircumcised, or gays to marry, or adultery to go unpunished, or women to be equal, and so forth. How to change things? Confronting these issues one biblical quote at a time would never solve the problem. But suggesting that people read the whole Bible wouldn’t work either. Richard knew that most of us have never read the Old Testament, yet many are influenced by those who quote the same, far-right-supporting Bible stories over and over again. 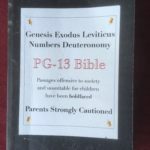 Enter the delightfully profane and eye-catching PG-13 Bible, which Richard self-published in 2006. You want a scandal-ridden quote to stir people up, some words from God that rip the lid off hypocrisy and tell the truth at last? 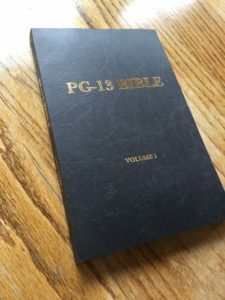 Here they are..
That’s the PG-13 part: Few people are going to crawl through the Bible looking for ancient fire-and-brimstone horrors nobody believes anymore. 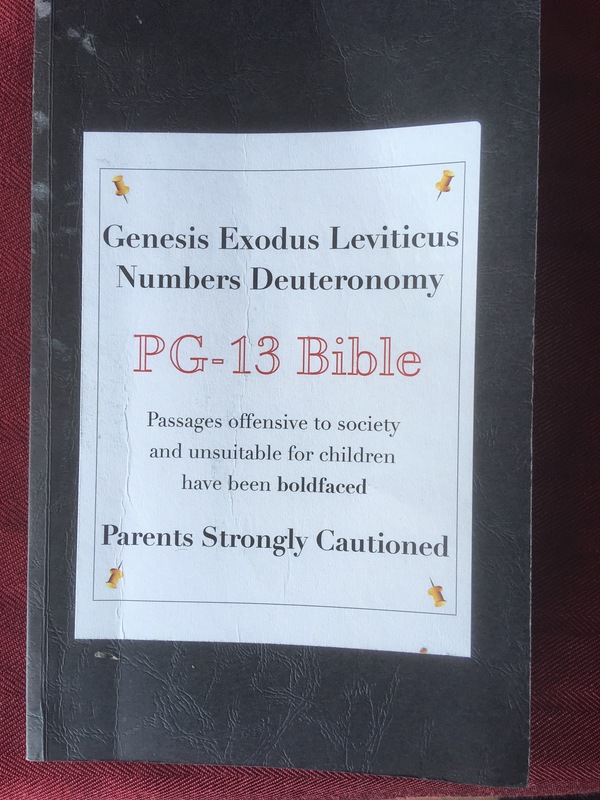 So, utilizing the movie industry’s Parental Guidance warning system, he highlights passages in bold to help parents easily find the parts about slaying, lying, killing, pillaging, stoning, etc. That way, we can all learn how the Bible contradicts itself and is often bloodier, more racist and even stupider than a Quentin Tarantino movie. 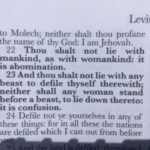 –Numbers 32:17 Now therefore kill every male among the little ones, and kill every woman that hath known man by lying with him. 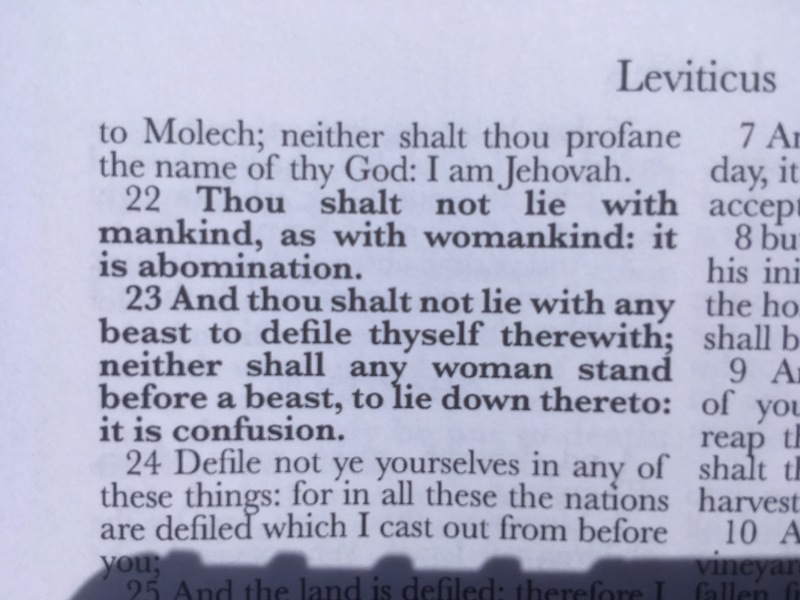 –Leviticus 18:22 Thou shalt not lie with mankind, as with womankind: it is abomination. –Genesis 9:32 Come, let us make our father drink wine, and we will lie with him, that we may preserve seed of our father. Yikes. And wouldn’t it be better, Richard wonders, when you’re staying at a hotel and happen to look inside the nightstand drawer by your bed, expecting a Gideon Bible, to find a PG-13 Bible that’s honest and shocking and deliciously offensive? Like most of Richard’s inventions, it really opens your perspective on life.